A superior stud welding machine providing exceptional cost-effectiveness and unprecedented operation. In your daily work, you can immeasurably improve your operational efficiency by effortlessly and flawlessly achieving your objectives with only essential welding. With our distinguished stud welder’s essential functions and efficiency, you can tackle sheet metal panels repair effortlessly. 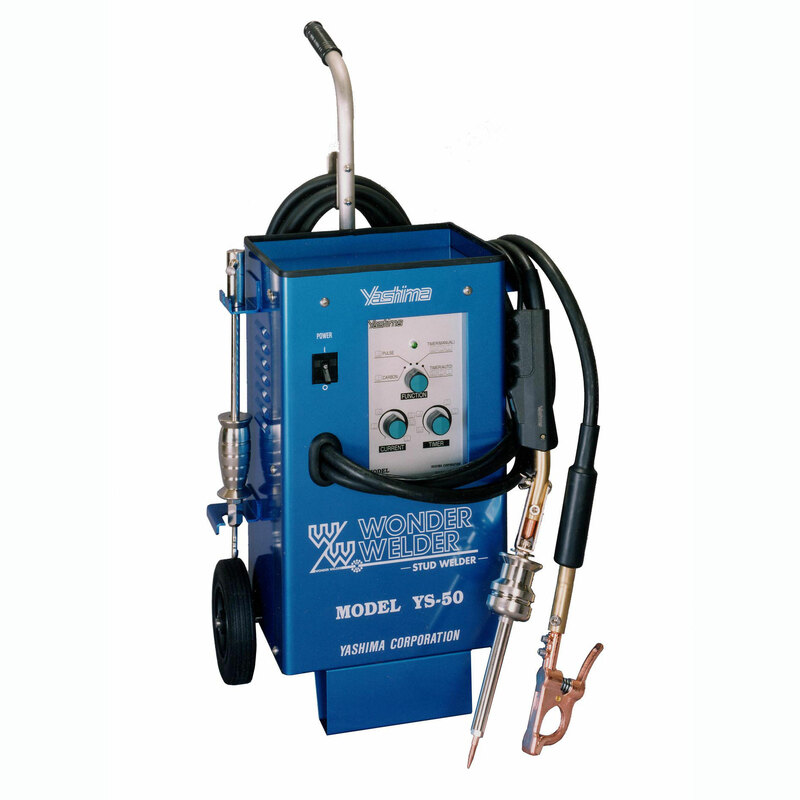 With the Yashima stud welder, we promise to make substantial improvements to your production efficiency that even the expert operators are satisfied with. 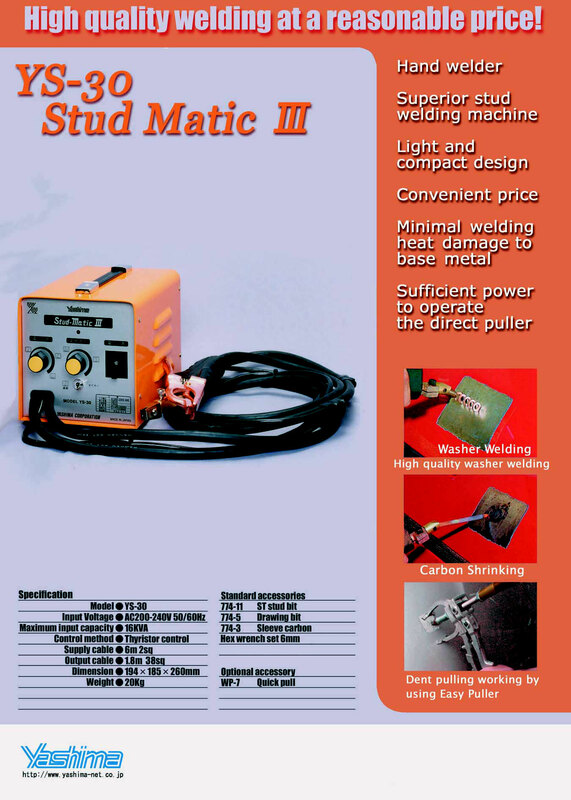 High power, Upright Stud Welder. 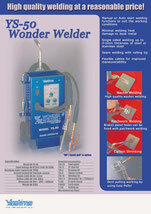 Even using the minimum timer setting, which has the lowest possible heat affect, you can achieve a high strength weld. 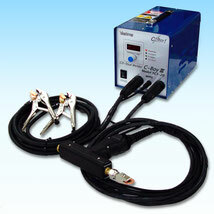 The 60 sqmm soft cables combine flexibility and durability. 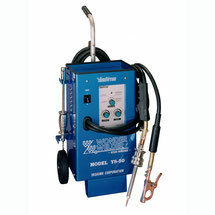 A compact, lightweight, easy to carry stud welder with exceptional cost performance. Even using the minimum timer setting, which has the lowest possible heat affect, you can achieve a sufficient strength weld. 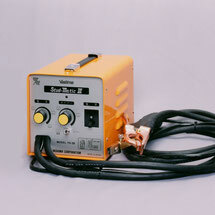 The condenser stud welder discharges collected current in the condenser at 1/1000S. Not only restricting heat input against high-strength steel but also preventing burnout on the reverse side of the panel. 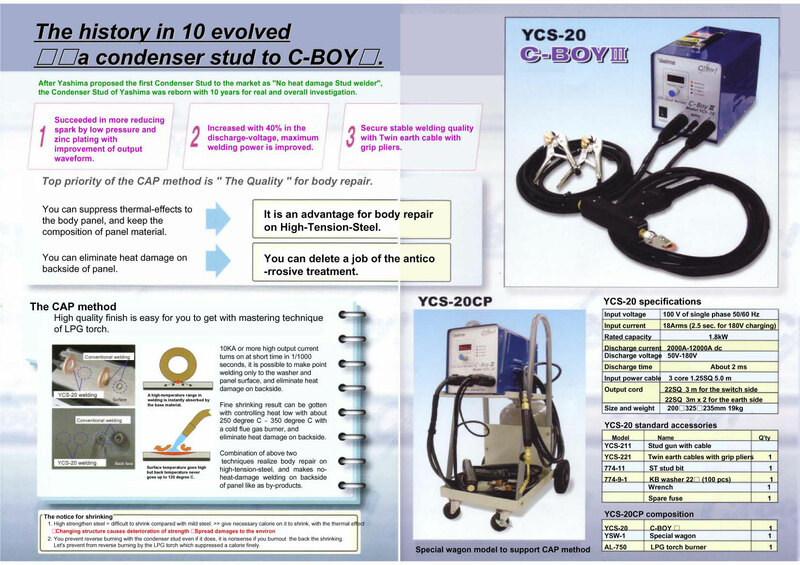 Can also be used for aluminum panel repair.